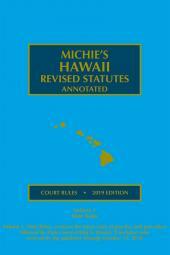 Provides comprehensive, fully annotated coverage of the Hawaii court rules. Annotations are tailored to the needs of the Hawaii practitioner. Accurate, timely access to Hawaii court rules with a scope of contents and research tools second to none. 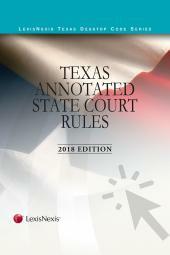 Hawaii Court Rules provides comprehensive, fully annotated coverage of the Hawaii court rules. Annotations are tailored to the needs of the Hawaii practitioner. Only the Hawaii Court Rules notes decisions of the Hawaii Supreme Court, references, treatises, practice guides, and form books; and selects the most relevant articles from Hawaii law reviews and bar journals. And all case citations are Shepardized® for accuracy.